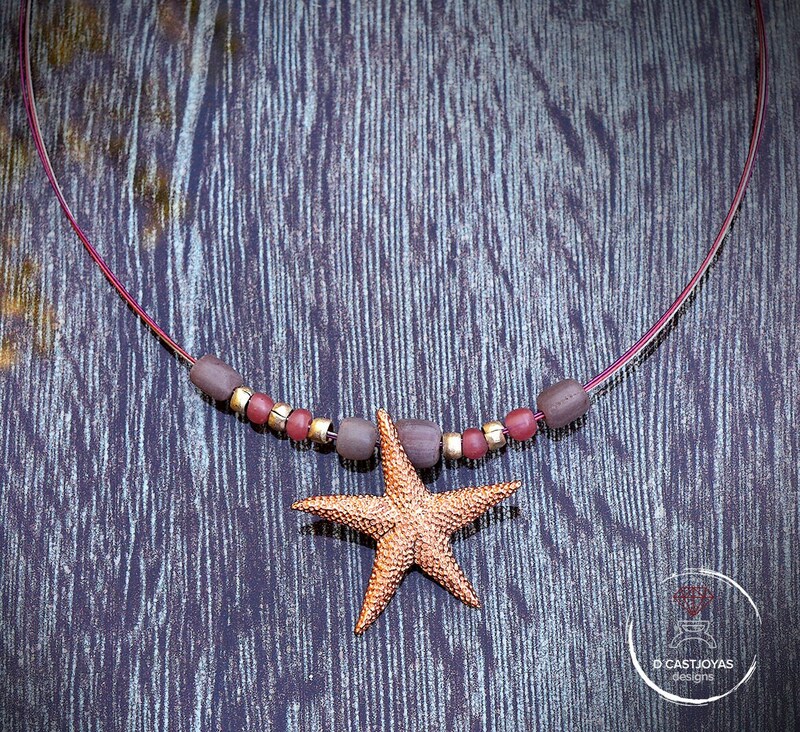 **Beautiful choker with a starfish handmade in solid Sterling silver and with a rose gold plated of two microns. 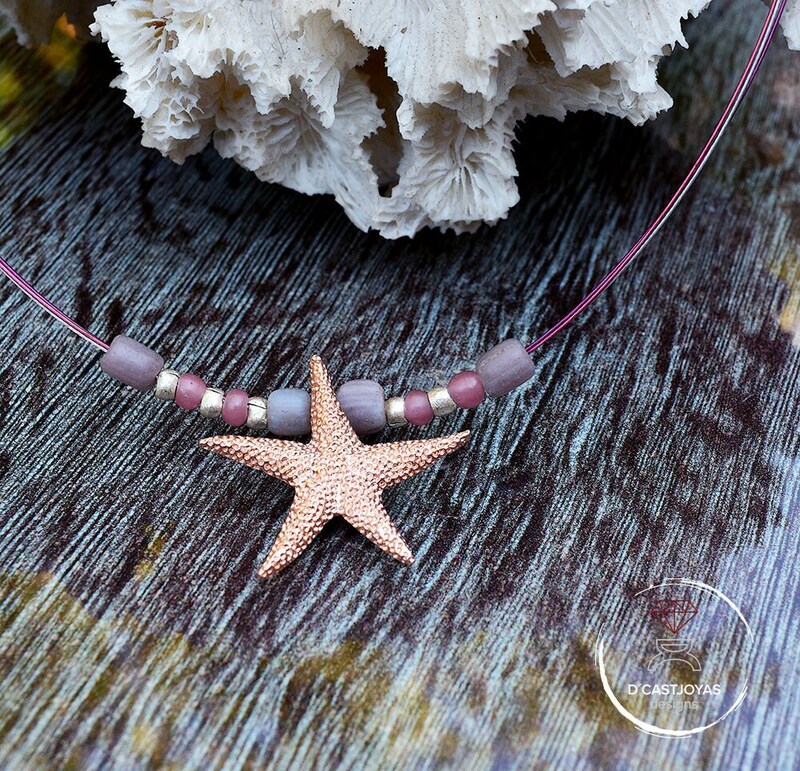 He is accompanied by original glass beads in pink and mauve shades and white bronze washers crafted by craftsmen from a village in Gaza, Africa. 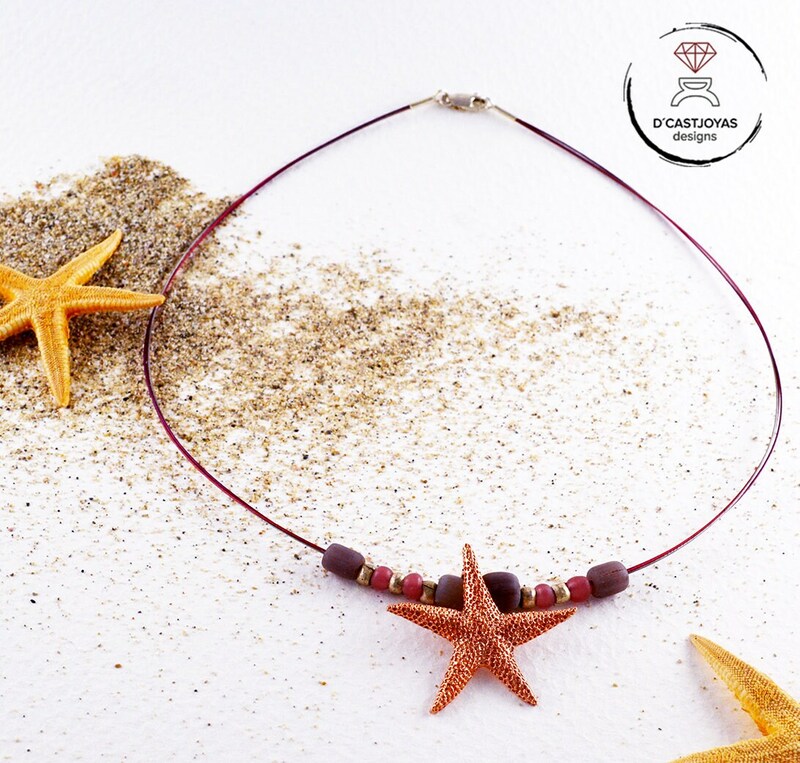 **The result is a warm necklace in pink tones that greatly favor the face, give it color and joy. 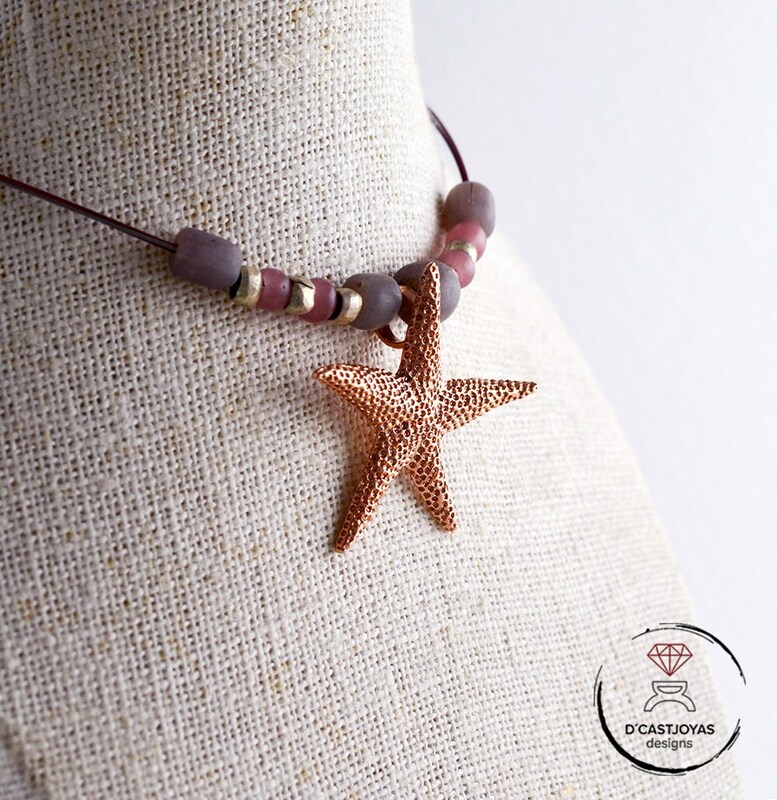 With this you can get a bohemian chick look and you can use it so much. 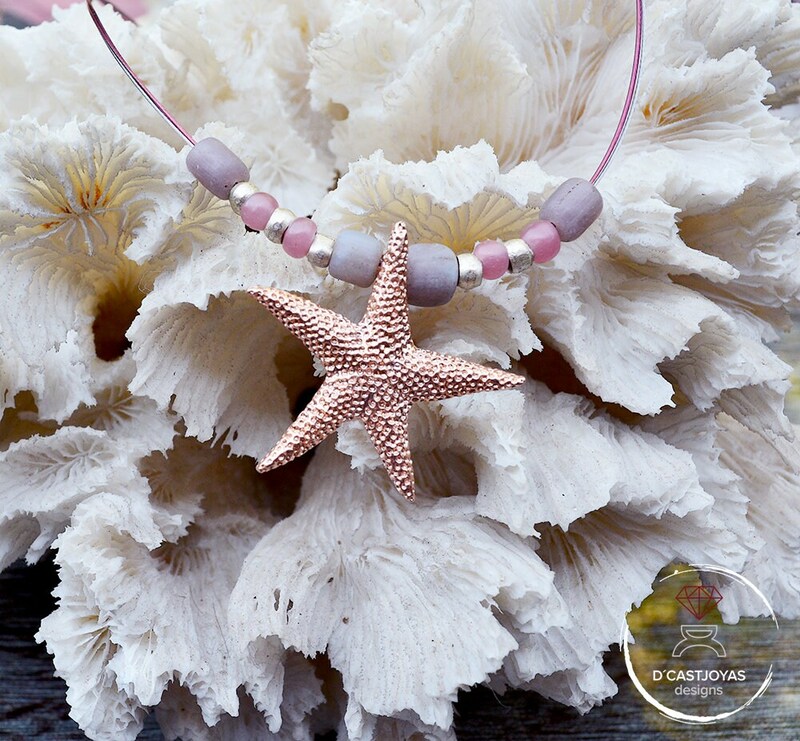 It can be great to accompany it with our rose gol plated starfish earrings. 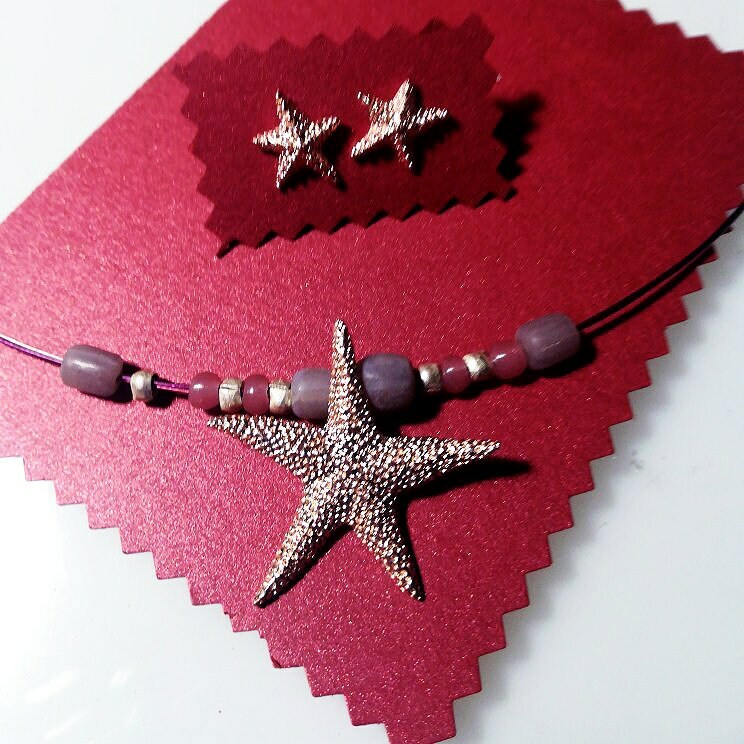 If you dare to buy the set, do not hesitate to write us and I'll make a discount for the purchase of the two items. 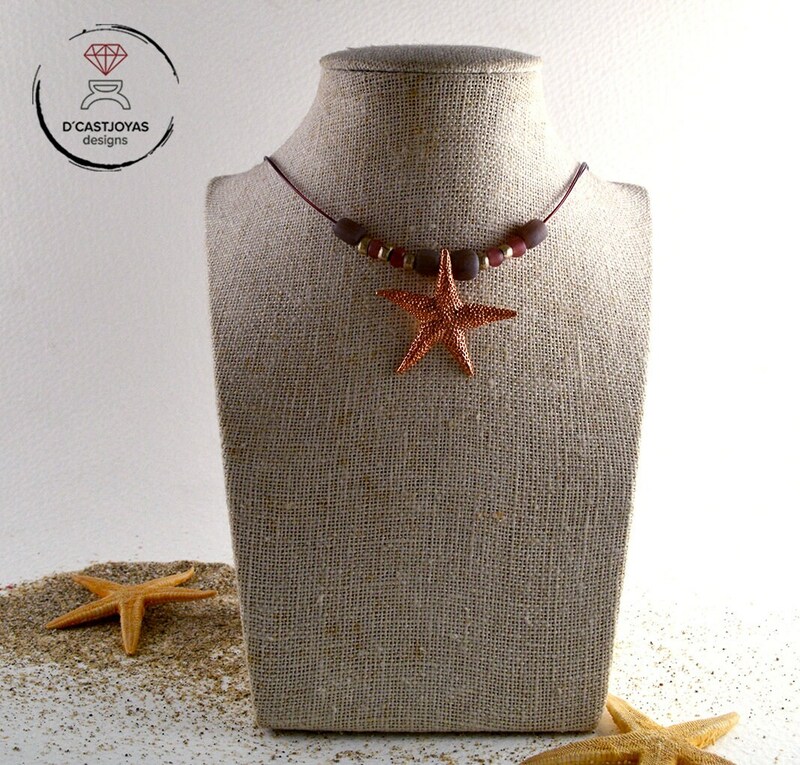 It can be a great idea for a gift !! 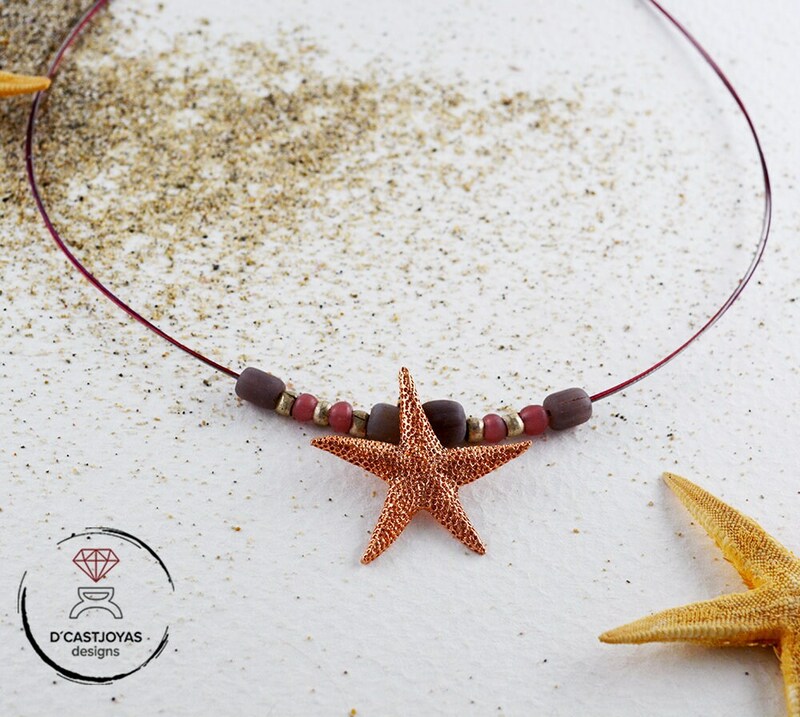 - Length of the necklace: It has about 42 cm, but we can make it as long as you want. You just have to write us first to tell us the measure.